Extrinsic – Salespeople of this type are motivated by money, rewards, toys, vacations and material things. They are more effective in a shorter and/or more heavily commissioned sales cycle. Intrinsic – This type of salesperson tends to be more motivated by recognition, fulfillment, satisfaction, enjoyment, love of selling, mastery, or even competition with others. They are often more consistent in a longer and more complex sales cycle. Altruistic – These salespeople are motivated to serve others at a cost to themselves. They will put the customer ahead of their company’s needs and requirements. Not everyone falls perfectly into one type or another. It’s also not unusual for an individual to be classified with two types, and sometimes three. But why, as a manager, should you care what type your salespeople are? Well, consider how much easier your life would be if you could motivate salespeople effectively. Not every one of them will respond to “across the board” incentives. 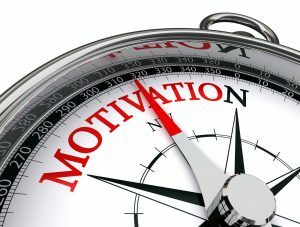 But by understanding each salesperson’s motivation type, you can individualize incentives to what each will respond to. After all, as the manager, it is your responsibility to inspire each individual – individually. What percentage of salespeople fall into each category? We assessed the first 1,000 salespeople classified using the new motivation type. The chart below shows our findings. Keep this in mind, you must adjust your strategy to fit each individual salesperson. 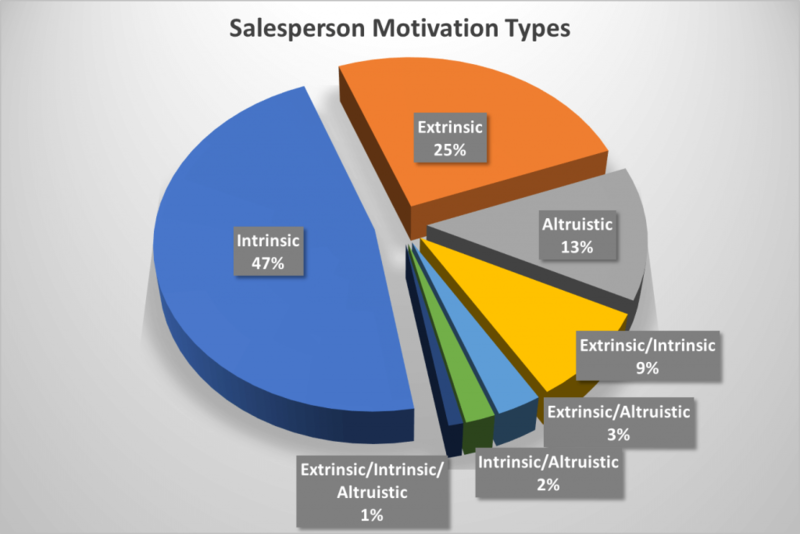 Note that intrinsically motivated salespeople make up the biggest segment. This group will respond more to the satisfaction of doing a good job , and taking care of customers, rather than by having additional monetary compensation thrown at them. Adapt your coaching and how you inspire salespeople to go that extra mile by understanding how each is motivated. It will make your life easier and your salespeople will be more successful. Want to see an example of how we use motivation data to help managers hire candidates who will do well in a company’s structure? Click here then flip to page 9 and 10 to see the details about motivation. Next Our Sales Future – Are You Ready?